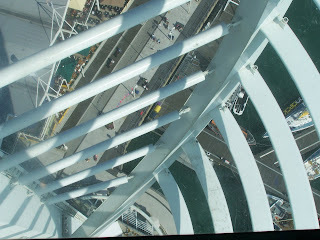 The Spinnaker Tower uses two large, white sweeping steel arcs to represent a sail in the wind. 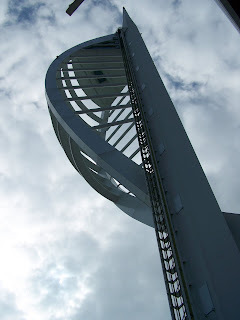 It was part of Portsmouth's plans for the Millennium, and should have been completed in 1999. They didn't start building it till 2001 and it took 4 years to finish, by which time it was madly over-budget. 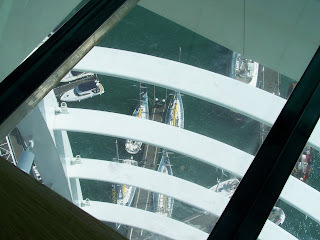 An elevator sweeps you up the inside of the building and takes you to the viewing deck. 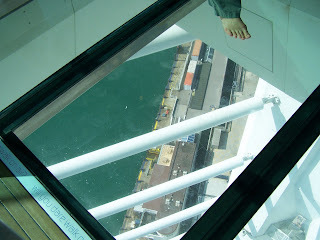 Just so that you can look down. 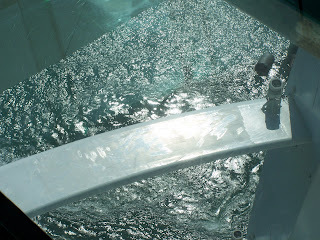 It looks relaxing and fun --love especially the last aquamarine shot, which is truly aqua---marine! love the lines and textures and light. It was a wonderful day and I was very lucky with the light.